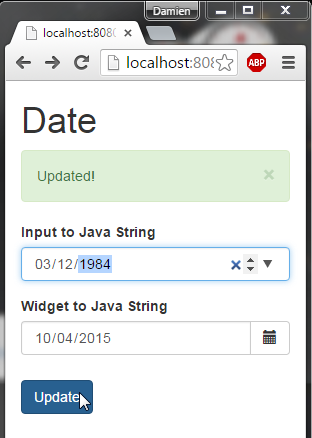 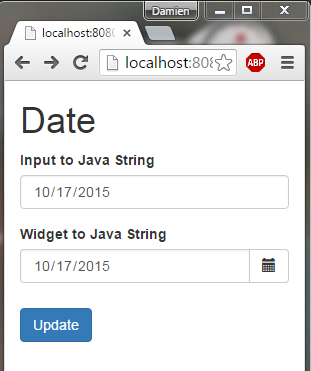 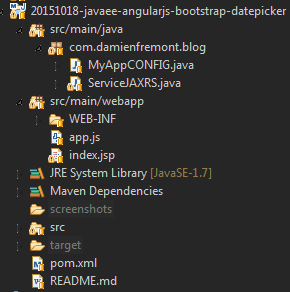 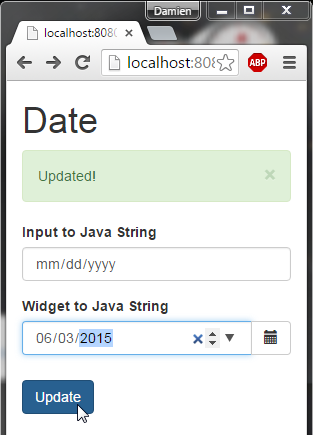 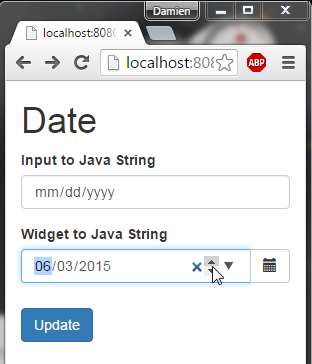 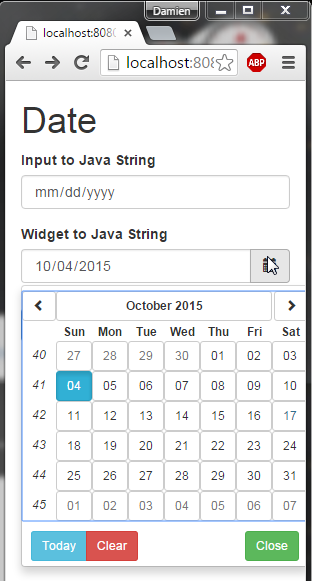 Build a DatePicker with AngularUI Widget from Bootstrap and post it to a REST Java server with Jersey and Bean Validation. 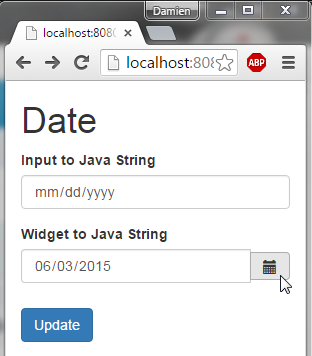 A responsive layout switching from large to small screen. 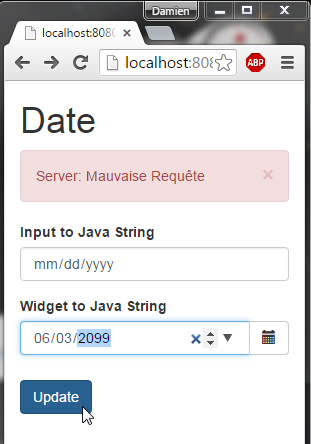 And back end validation on futur Date. 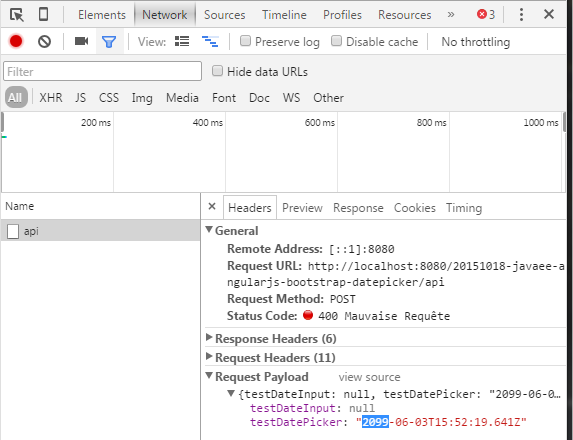 Don’t forget <!DOCTYPE html> or there will be .btn CLass height bugs!